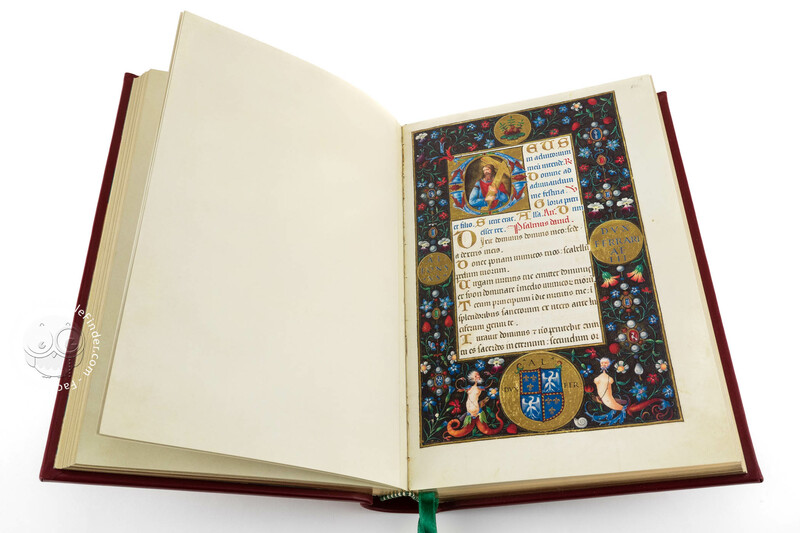 This codex, known as "the last really extraordinary creation of the Ferrarese illuminators", was commissioned by Duke Alfonso I to Matteo da Milano. 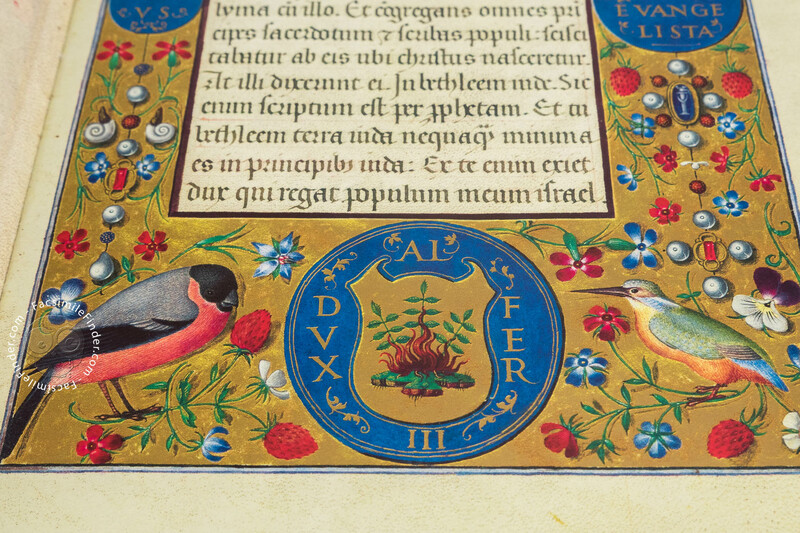 It belonged to the Biblioteca Estense in Modena until 1859, when it was relocated by the Estensi – along with the Bible of Borso and the Breviary of Ercole d’Este, which together made up a trilogy of illuminated masterpieces of the highest excellence – and were conserved as patrimony of the House of Austria-Este in exile in Vienna. 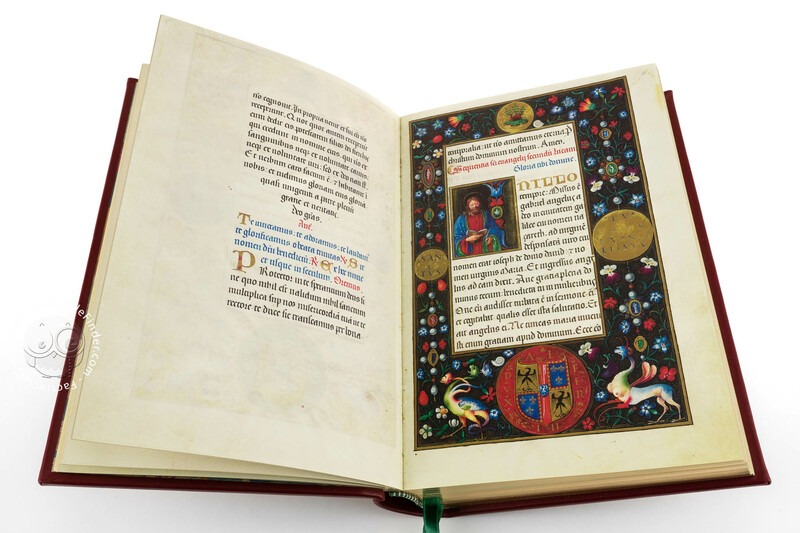 The body of the manuscript, without the 14 detached illuminations of Zagreb, was bought by the Armenian collector Gulbenkian for his Foundation and is now housed in Lisbon. 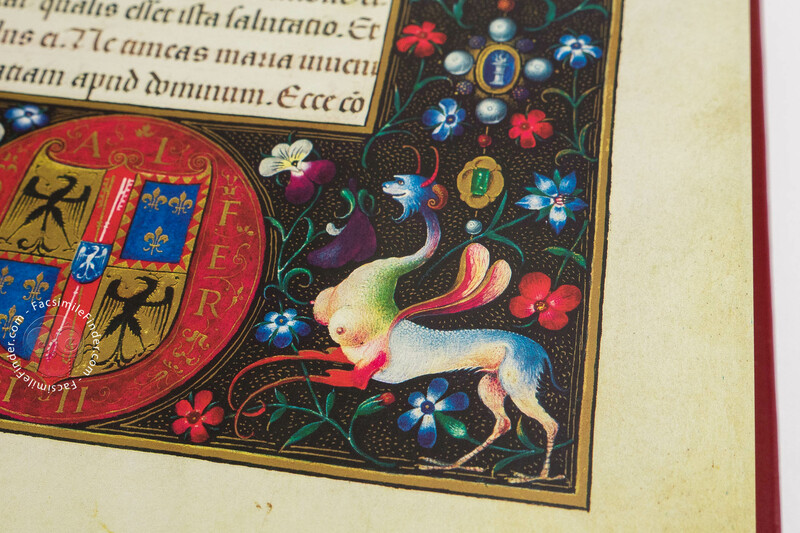 Matteo da Milano was the most talented illuminator in the court of Ferrara at the beginning of the 16th century, author of the last materpieces for the Estense family. 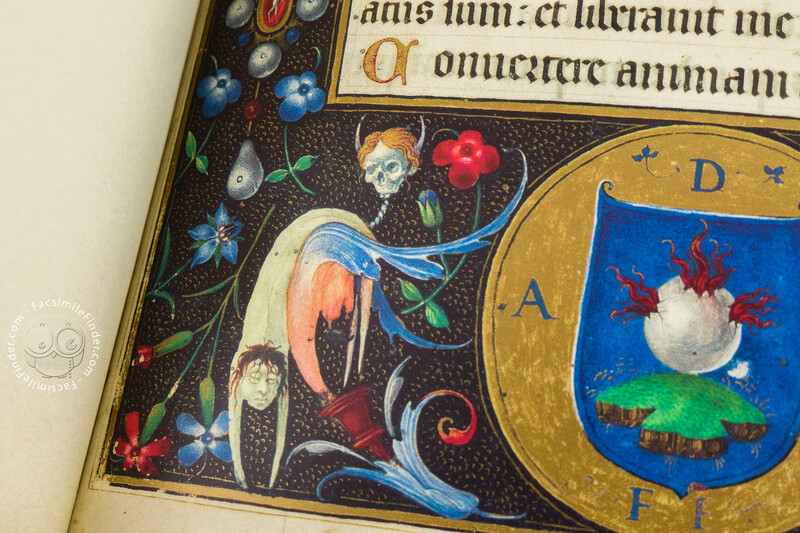 Appreciated disciple of Bramante and Birago in the court of Ludovic the Moor in Milan, in 1502 he was invited to Ferrara to illuminate the Breviary of Ercole, then Alfonso d’Este’s Book of Hours and Cardinal Ippolito’s Missal. 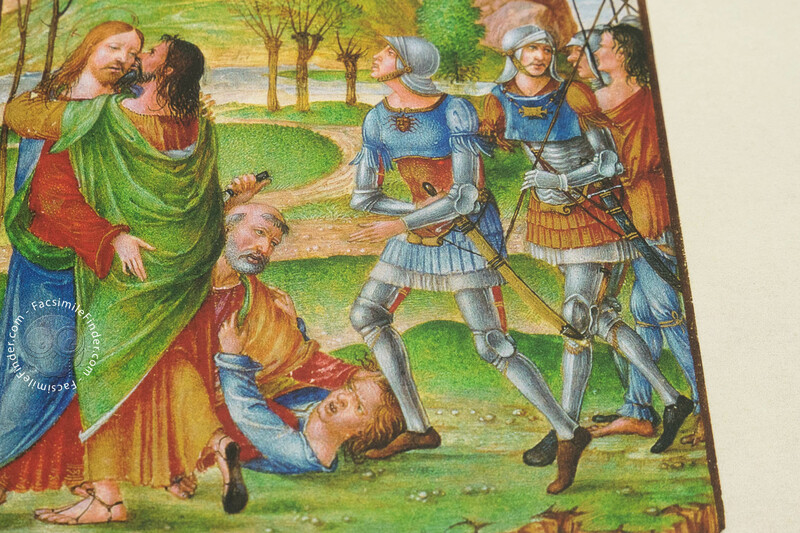 In Ferrara he completed his Lombard studies in close contact with the artists who worked for Leonello and Borso; he also studied Dürer’s new style and became the main illuminator using a new and more modern language. 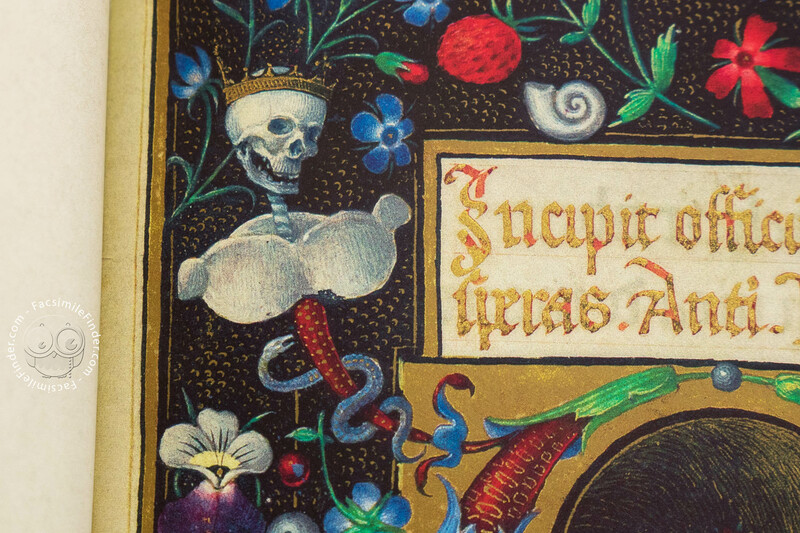 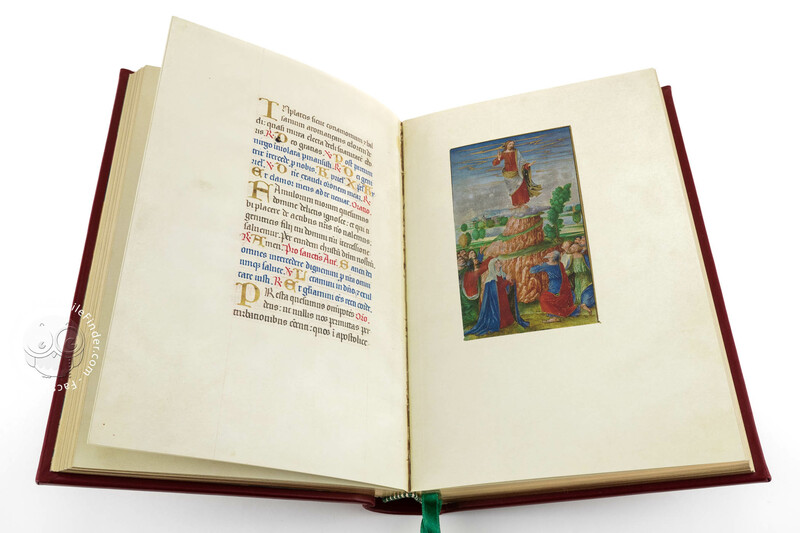 Leading artist of the last golden age of illumination, he created masterpieces of extraordinary value and can be placed on the same level as the French and Flemish illuminators. 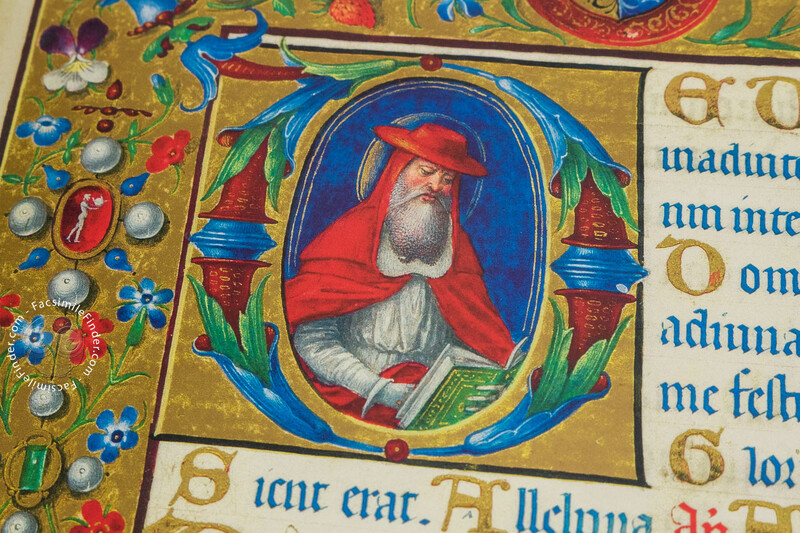 Gold framed red leather (Lisbon part). 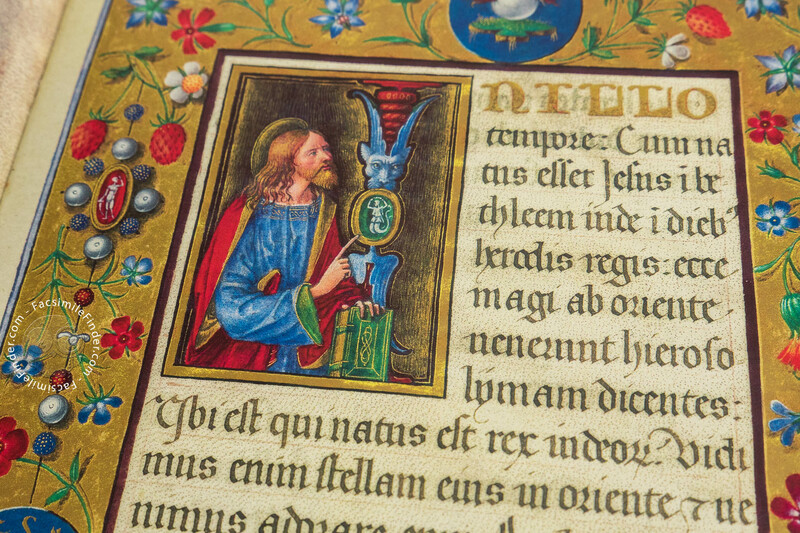 Manuscript book on parchment − 26 × 17 cm − 398 pp. 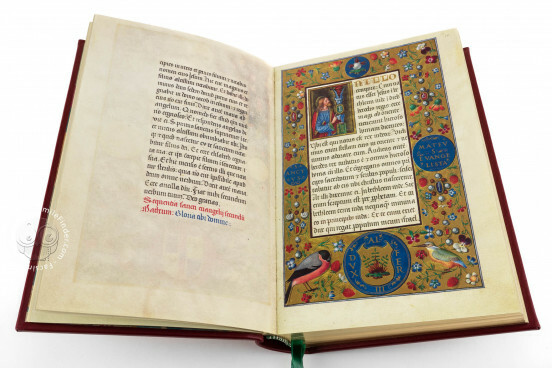 Full-size color reproduction of one or more portions of the original document, Offiziolo Alfonsino: the facsimile attempts to replicate the look-and-feel and physical features of the original document; pages are trimmed according to the original format; the binding might not be consistent with the current document binding. 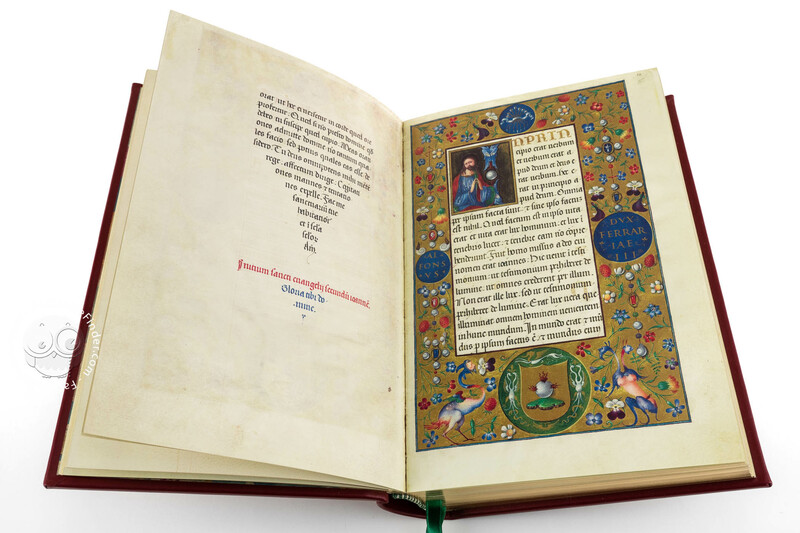 The facsimile is an unabridged reproduction of the two fragments of the Offiziolo Alfonsino that was once an individual document. This facsimile edition was sponsored by the Italian Ministry of Culture and coordinated by the Biblioteca Estense in Modena, who intended to reconstruct - at least virtually - this antique heritage. 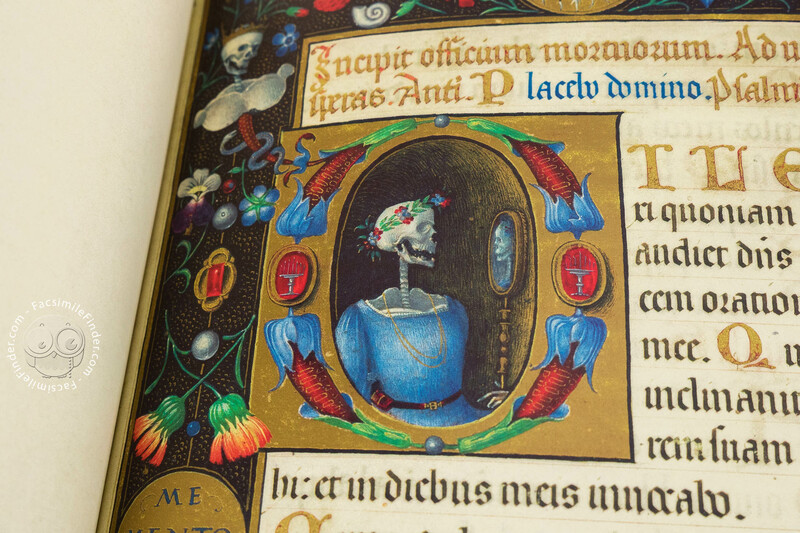 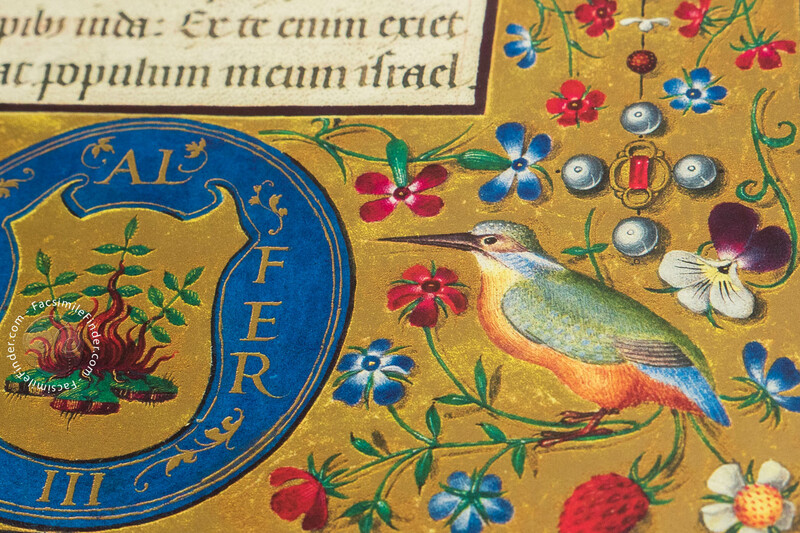 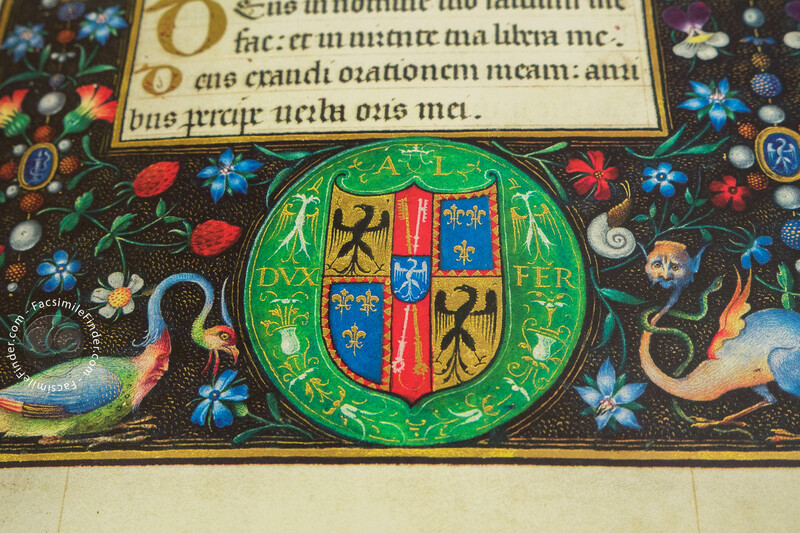 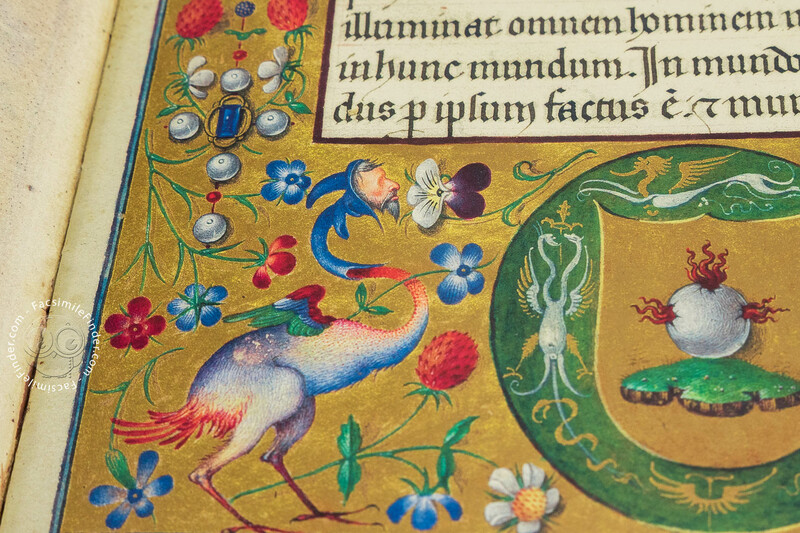 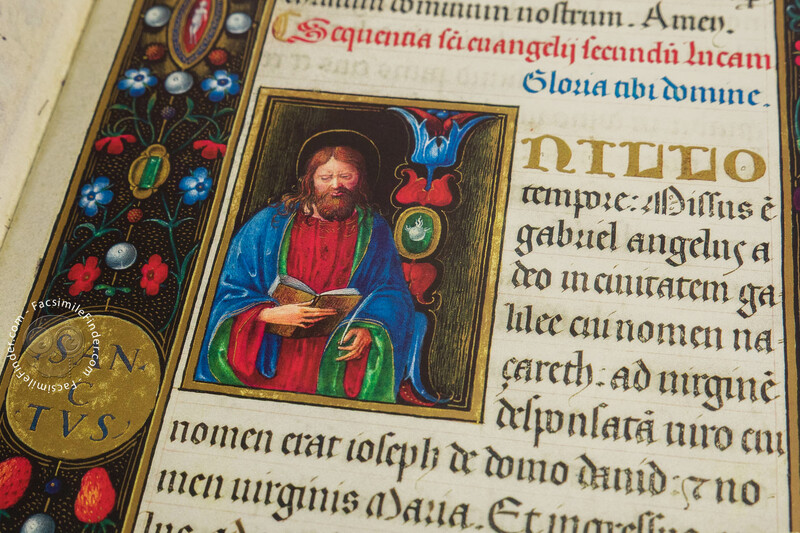 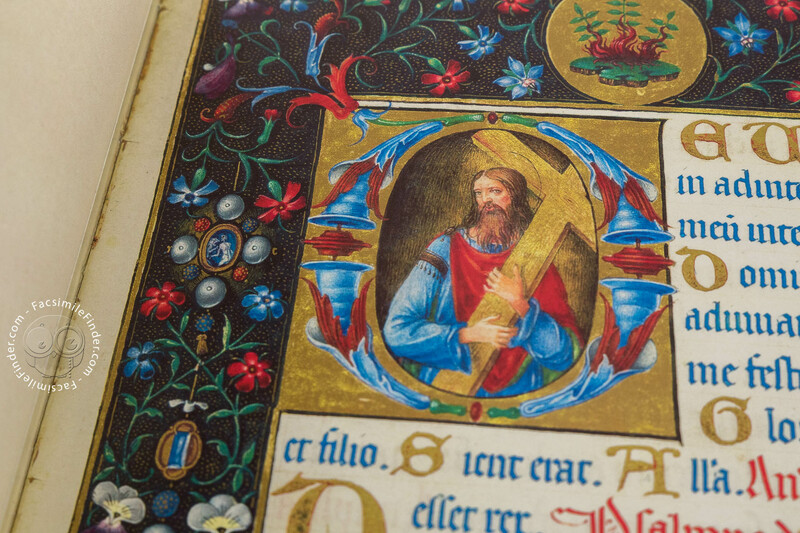 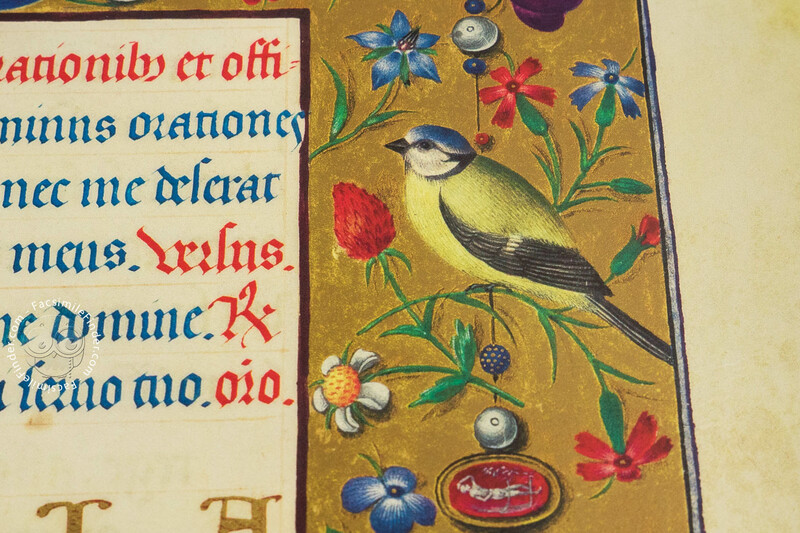 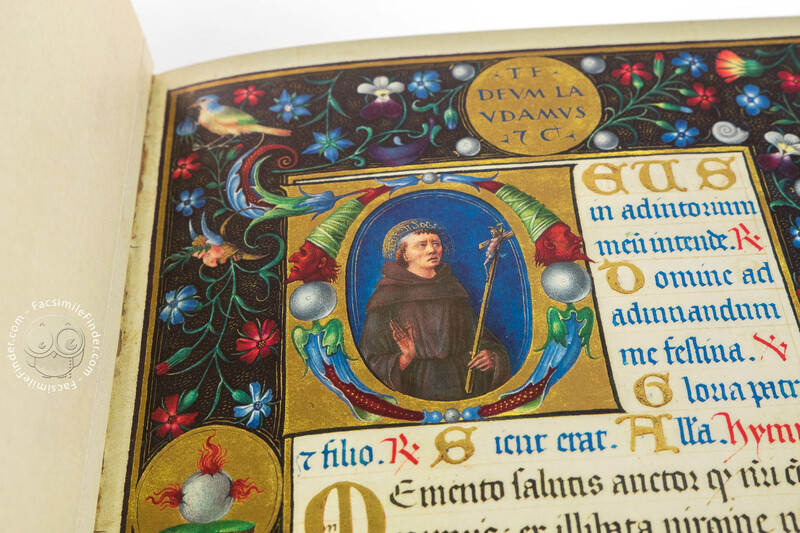 This facsimile edition was printed with 8 colors and two kinds of gold. 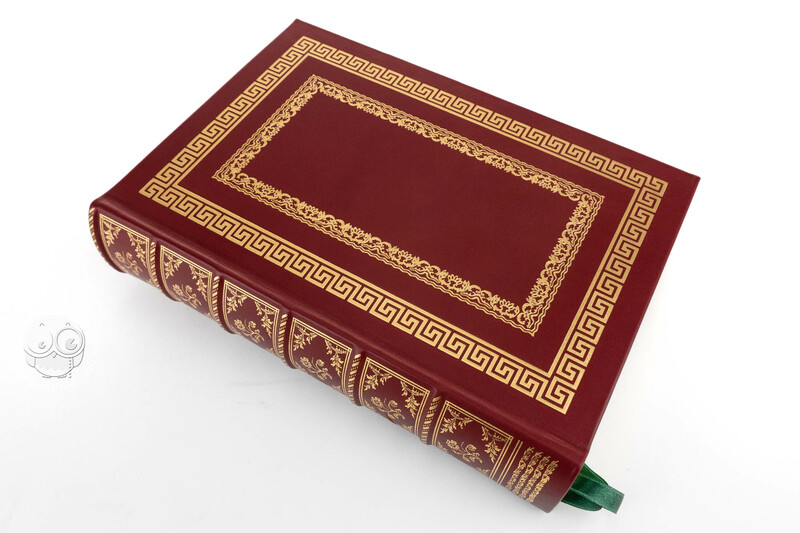 The half leather case of the edition can be personalized. 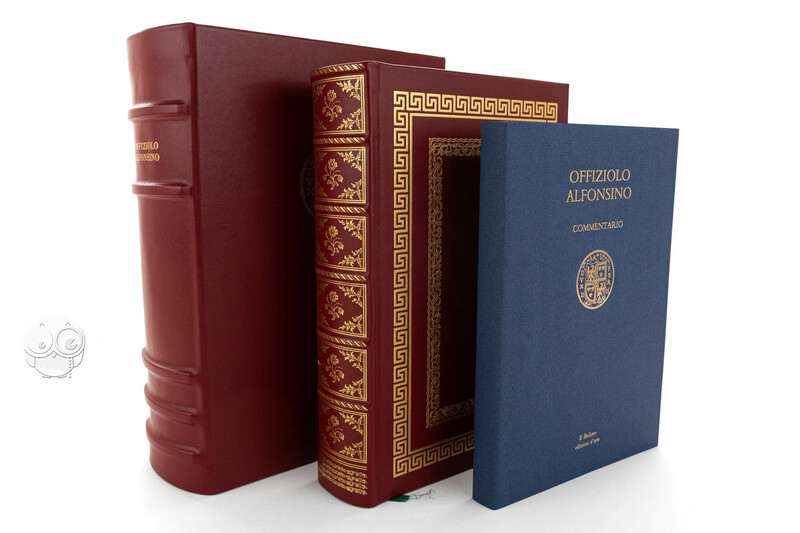 The 288-page commentary volume includes the unabridged transcription of the manuscript. 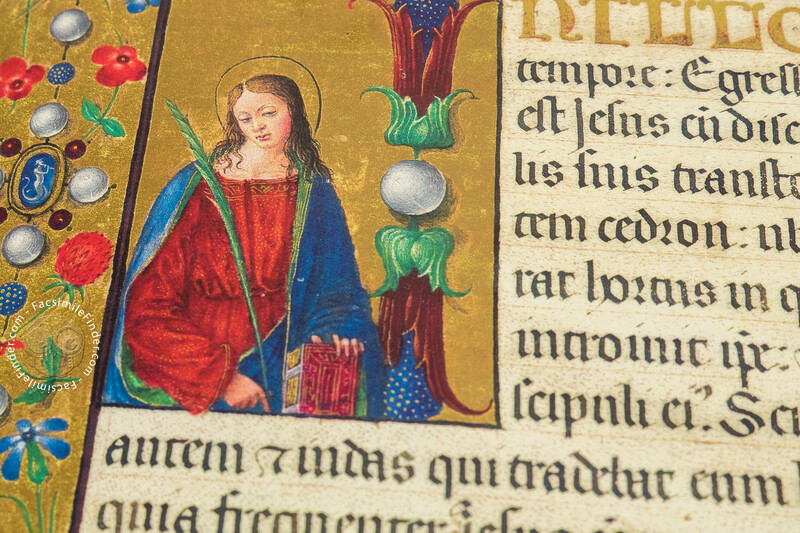 Gold framed red leather, as the original in Lisbon.